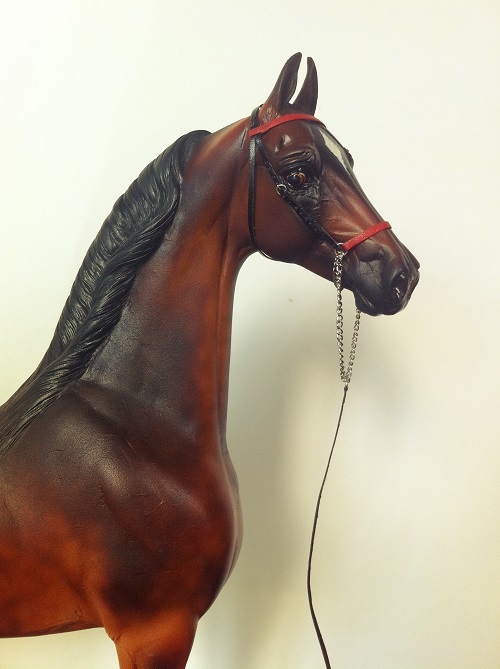 Harlem Supreme is from one of the most successful sirelines in the American Saddlebred breed. His sire, Repeat After Me, is by the great stallion Spring Valley's Deliverance, who sired multiple World Champions and World Grand Champions. Spring Valley's Deliverance's grandsire was the two-times World Champion, Society Rex who, besides that, sired many winners and created a dynasty of his own. Spring Valley Deliverance was out of the Private Contract mare Jo Taun. She is of the Bourbon King sire line, which has produced champions such as Flirtation Walk and Anacacho Shamrock. Repeat After Me's dam is Empress Wing, a daughter of the greatest 5-gaited stallion of all time, Wing Commander. Further lines on Repeat After Me's side of the pedigree include Anacacho Denmark and American Born. Harlem Supreme's dam is Manhattan Supreme, a mare by one of the great stallions of the '80s, New Yorker. New Yorker is by the 5-gaited World Champion, Yorktown, a son of Wing Commander. New Yorker is also a great-grandson of the champion sire Stonewall King. Manhattan Supreme's dam was Putting On Airs, who was inducted in the Broodmare Hall of Fame. She is a granddaughter of both Wing Commander and Stonewall King. Manhattan Supreme is a full sister to the World Champion Harlem Globetrotter. Further lines include Beau Fortune and American Ace (son of American Born). Harlem Supreme is one of the finest Saddlebred stallions we offer, with a pedigree that is noted for producing champions. Available 1991 - 2014, to all American Saddlebred, Arabian and National Show Horse mares. Other breeds considered upon request. 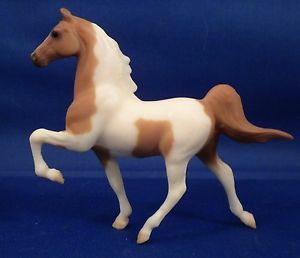 Erythreos is a stunning horse with five beautiful natural gaits. Sired by Legacy Farm's stallion Key Commander, who sired several very successful show horses. He is by Sultan's Commander, a grandson of the incomparable Wing Commander, who is one of the greatest five-gaited stallions of all time. Key Commander also carries a line to Supreme Sultan through Sultan's Orchid. Key Commander is out of a mare by Key Largo, who is considered a foundation sire of the National Show Horse breed. He himself is a grandson of the WGC Five Gaited, Yorktown. Key Commander carries 15 crosses to Bourbon King! 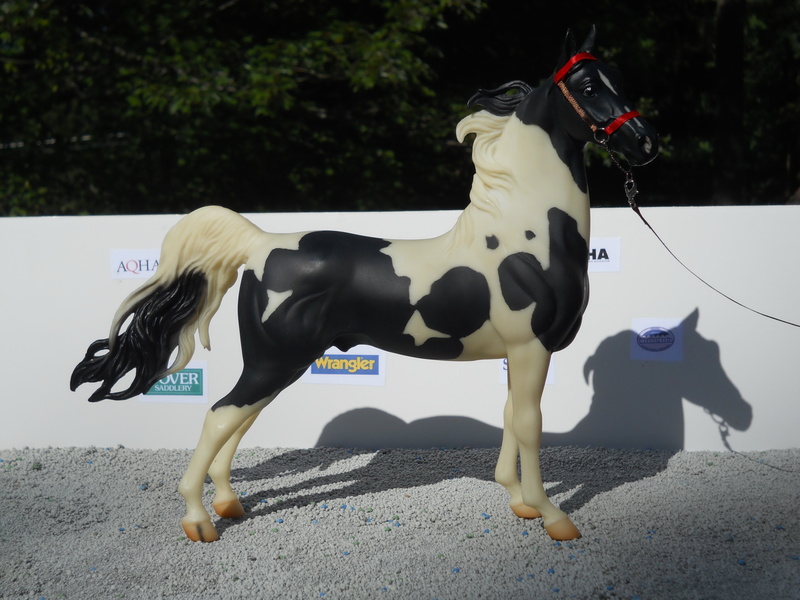 Erythreos is out of the beautiful live show winning mare Kalarama Fairy, who is a daughter granddaughter of the two times Reserve WGC Modern Creation, through whom the gene for tobiano was also passed on. Modern Kalarama's lines also include Kalarama Rex, Gallant American and Easter Night. Kalarama Fairy is out of Gotta Go, a daughter of More To Go. She carries two lines to Stonewall King and two to Kalarama Rex. Erythreos carries many of the greatest sires of the past century in his pedigree. He is definitely an asset in any foal's pedigree! Available 1998 - onwards, to all American Saddlebred, NSH and Arabian mares. Other breeds considered upon request. Sultan's Firebreather is an impeccably bred stallion with great movement. His sire, The Prestige, has a pedigree loaded with champion model and real parents. He carries three lines to the champion model stallion Wonka Spritz, one of October Moon Acres' best Saddlebreds. The Prestige also carries several lines to the great show horses of WMHS. The Prestige has the many times World Champion, Wing Commander on his sire line. Further real lines also include Valley View Supreme and Lord Star Bourbon. Sultan's Firebreather is out of Looking Up, who earned many champion titles in her days as a show horse. She is by Up And Coming, one of Caballos Del Mar's multi champion Saddlebreds. Up And Coming's lines trace to the real horses Uptown Commander, Stonewalls Silver Streak and Supreme Sultan. Looking Up was out of Supreme Vision, a daughter of Supreme Sultan. Supreme Vision's lines also include Stonewall King, Rex Peavine and Anacacho Denmark. Sultan's Firebreather carries many generations of model parentage. His bloodlines include horses of many different stables and breeding programs, so Firebreather is definitely a valuable asset to our own program. Available for breeding 2006 - present, to all American Saddlebred, NSH and Arabian mares. Other breeds considered upon request. Let Freedom Ring has style, flowing natural movement and is definitely an eyecatcher! Sired by Gubbera Park's ASB headsire, Ironbark's Memphis Meltdown* +m, a multichampion, and out of Gubbera Park's beautifully bred ASB mare Starheart Ultimate*. Let Freedom Ring is the perfect blend of real and model bloodlines, with Valley View Supreme, Yorktown and Rex Peavine lineage on his sire's side of the pedigree. In addition to those lines, his maternal grandsire, DA Fizzical, is a multichampion in LS and PS, sired by Boom!, the 1995 NAN Champion Cm'd American Gaited Horse. Starheart Ultimate's dam, Starheart Ultimatum, was sired by Fleetwood Farm's inflential sire Cobra Command++. Let Freedom Ring has 4 generations of solid model breeding behind him. Carries lines also to Wing Commander. 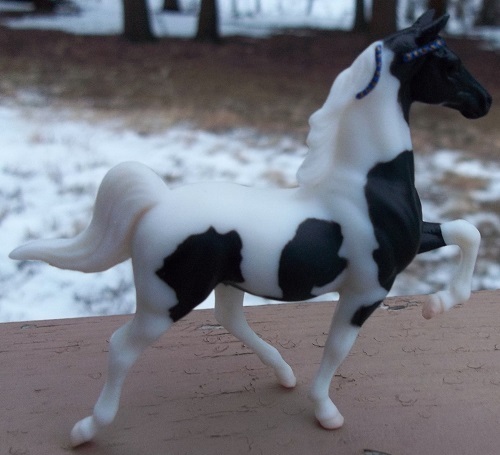 Available 2011 - onwards, for all American Saddlebred, NSH and Arabian mares. 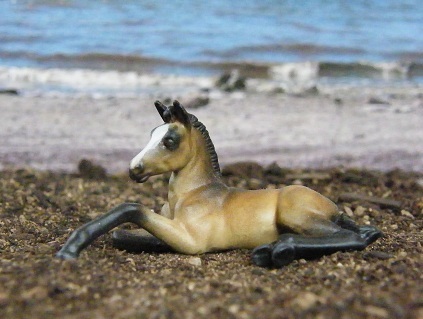 Foals have to be of good type and must have picture for progeny classes. The following young colts and stallions will be available for stud service when they reach maturity. Has beautiful bloodlines with Kalarama Rex on his sire line and great stallions such as Yorktown and Wing Commander up close in the first 3 generations of his pedigree. Harlem's Supreme Fleet's dam, Ulterior Motive has lines to great model stallions Cobra Command++ and Fleet Victory. Also has more than 10 Broodmare Hall of Fame mares in the first 5 generations of his pedigree.